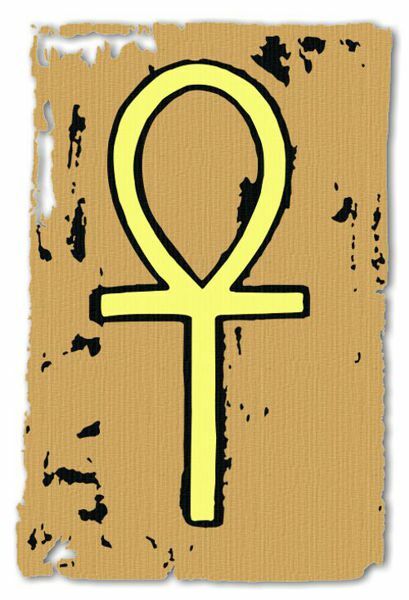 The Egyptian hieroglyph of the ankh is one of the best known good luck charms. 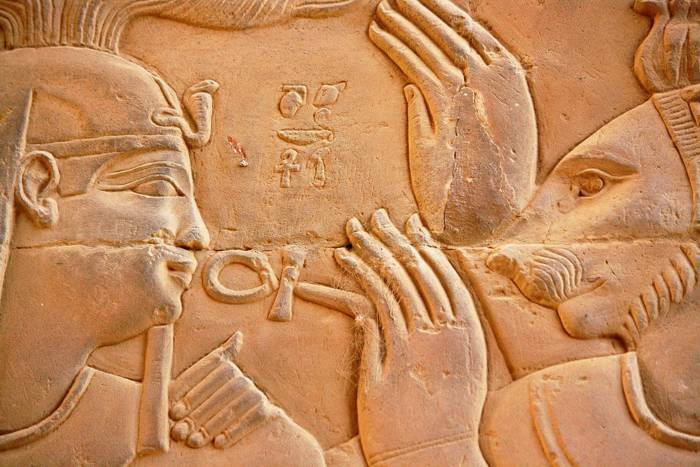 In Ancient Egypt the hieroglyph 'ankh' meant ‘to live’. It is often seen on wall paintings and as a charm in the form of jewellery. Many hieroglyphic symbols are still used today in the design of modern jewellery. As a symbol of life, it was adopted as a cross design (the Coptic cross) by the early Christians in Egypt. 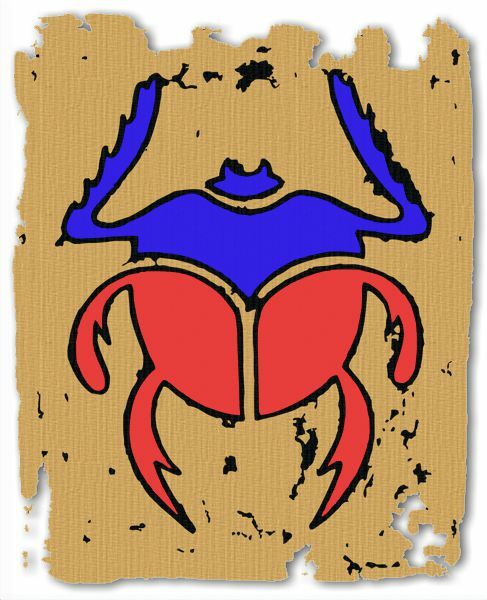 The scarab beetle was a symbol of great power in Egyptian mythology. It was said that it pushed the sun into the sky at the dawn of each day. Scarabs are common dung beetles and are often seen pushing around a huge ball of dung, many times their own size and weight. The myth probably grew from the great strength and determination that they display in this practice. 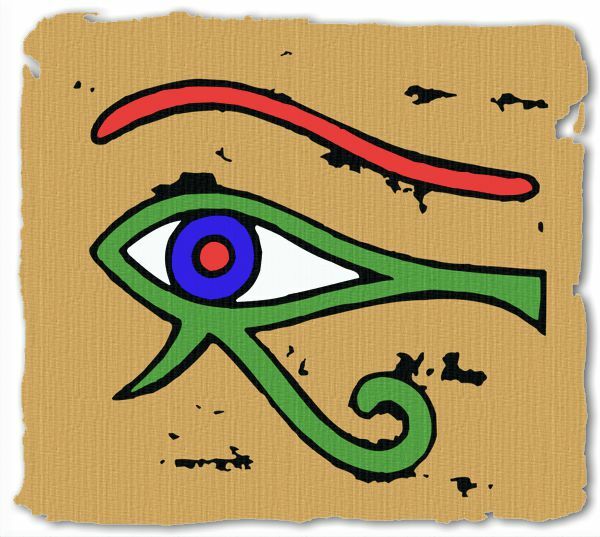 The Wedjat Eye, also known as the 'Eye of Horus', was thought to have magical powers. It was believed to have the ability to protect and heal. Pairs of wedjat eyes were painted on coffins or tombs to protect against 'the evil eye'. The lines drawn beneath the ‘wedjat’ eye represent the markings on a falcon’s face. The Ancient Egyptians admired the physical qualities and instincts found in animals. Various creatures were used as symbols of their gods, who were usually represented as figures with the head of an animal on the body of a human. Horus was an Egyptian god who was usually shown with the body of a man and the head of a falcon. His name means 'Far-Above-One' and he was the god of the sky who posessed the qualities of light and goodness. Osiris (the god of the underworld) was his father and Isis (the goddess of nature) was his mother. In Ancient Egyptian mythology, Seth (the god of darkness and evil) attacked and killed his brother Osiris as he was jealous of his power and wanted his throne. Horus, who was the true heir to Osiris' throne, avenged his father's death by defeating and finally destroying Seth after a series of contests. Relief carving from the temple of Kom Ombo.